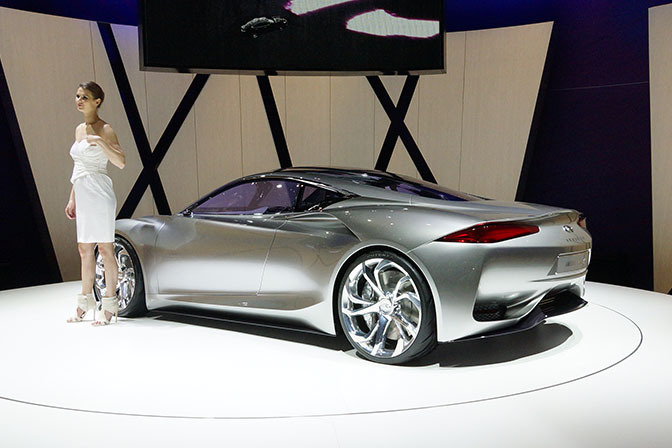 Concept cars can be a thorny subject. What value is there in showing off what a company could do, when what they actually do is quite another thing? After all, the crushing disappointment of a dashing concept turning into yet another run-of-the-mill family box is all too familiar. But there are exceptions (I'd hold up the Alfa Brera and 8C as evidence), and to be honest, these cars are still the stuff dreams are made of. 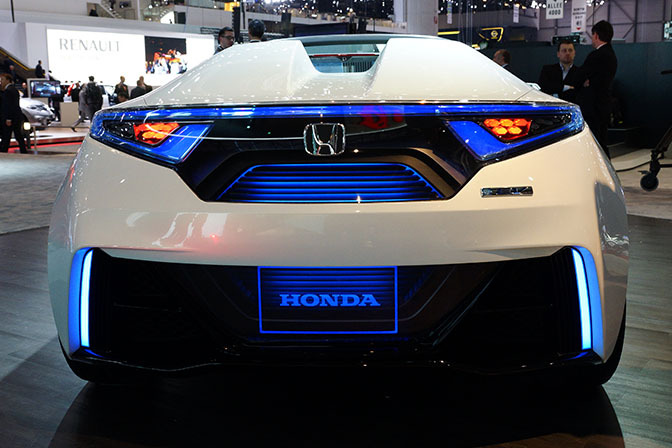 There are other concept cars where there is more than a small chance that what you see really is what you'll get. As long as you have a really large pile of spare cash. 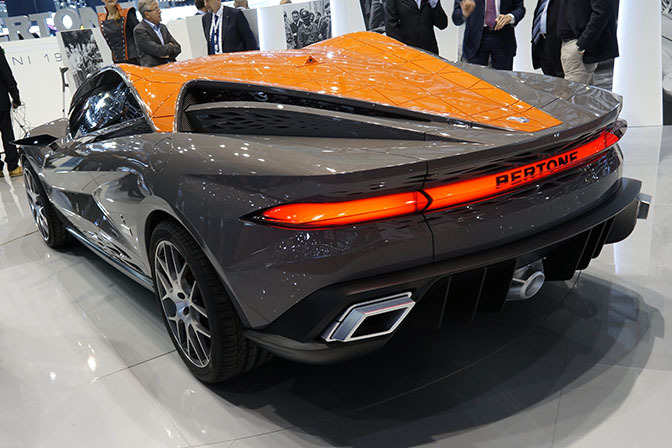 The Geneva Salon International de l'Auto is where the Italian styling houses hold court. Spending the year doodling away with crayons, Switzerland is where their crazy concept sketches become three-dimensional in form for some lucky individual. I'm still dazzled by the fact that cars like this are often really produced and driven. It's a hugely pleasing thought. 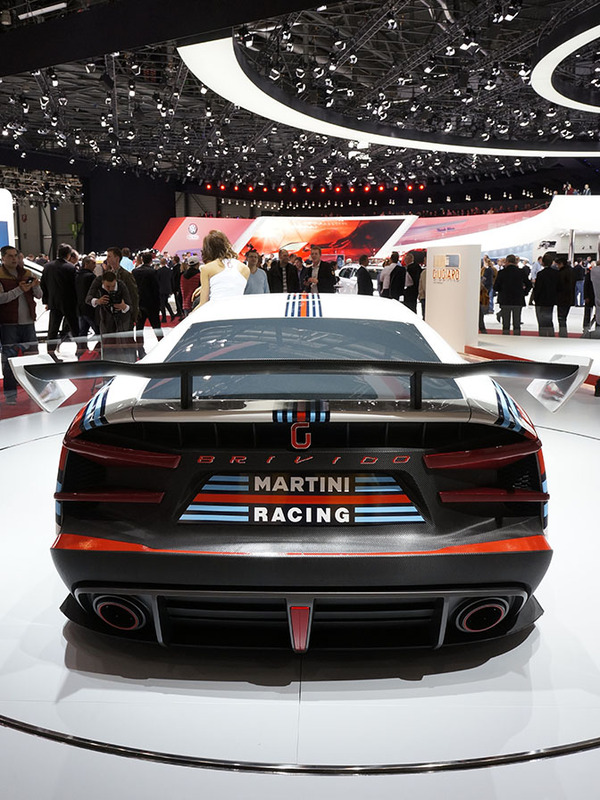 The 2012 Geneva show has seen another riot of cars from both ends of the spectrum – otherwise sensible car-makers and certifiably crazy styling houses who have watched Blade Runner too many times (as if that was a bad thing). International car shows really are amazing places. The future this way lies… And it sort of looks like the 1970s. Just with extra neon. Cylon Raider neon strips, fossilised spider-web cut-outs and a 3D mesh draped over the roof: the Carrozzeria Bertone Nuccio has been created by the legendary design house to celebrate their centenary. 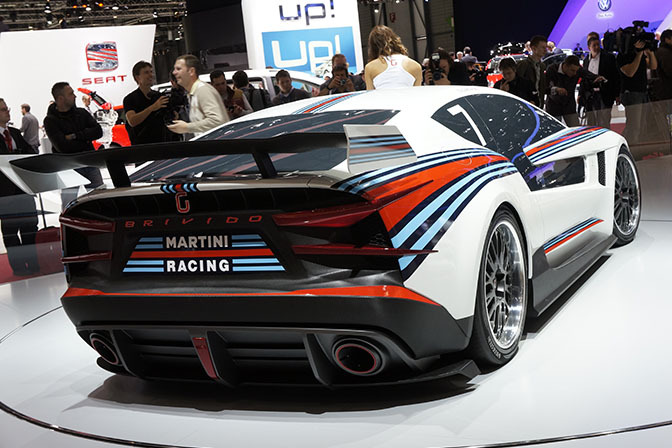 The Nuccio (named after the founder's son) packs a mid-mounted 430bhp V8, and definitely has its looks at one end: from this angle it looks like someone's been jumping on the roof… However, that diffuser and the enormous exhausts make the rear look epic. 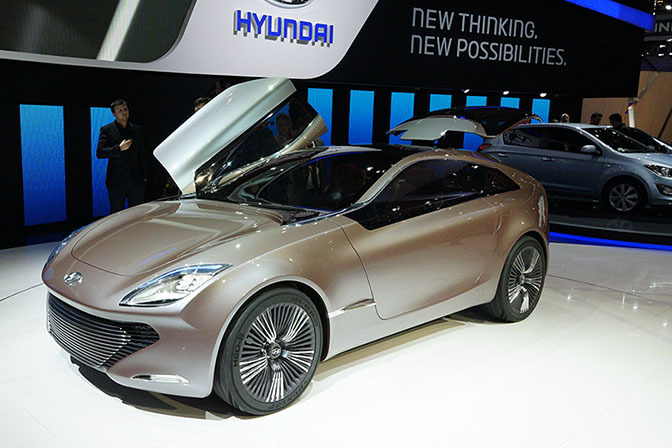 It's not often that Hyundai share such exalted company, but the i-Oniq concept has some sharp lines to match its techno wizardry: under the bonnet is a 1-litre, 3-cylinder petrol unit backing up the main lithium-ion electric motor. 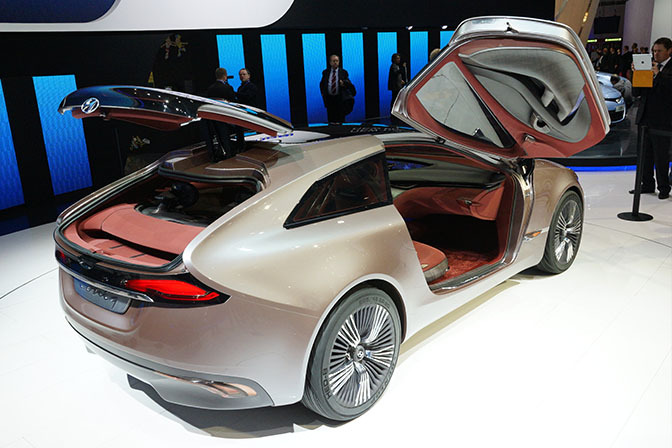 Scissor doors, the finned wheels and a shooting-brake rear really give the i-Oniq poise. This is definitely a car on the 'you'll never see this in real life' side of the concept car line, but still a hugely positive thing to come from the South Korean firm. Back to Italy for the Pininfarina Cambiano, from a styling house a mere 80 years old. 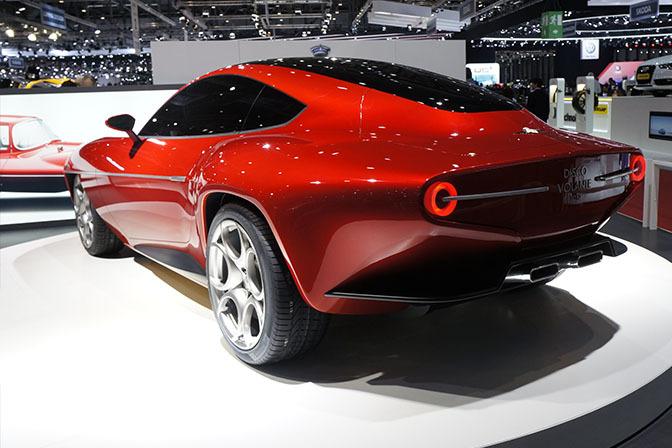 The asymmetrical Cambiano features a single door on the driver's side and two on the passenger, wrapped in a executive muscle-car body (I think it has hints of Mustang about it). The Cambiano is electric powered, featuring four separate 79hp motors: one on each wheel. A diesel generator kicks in when the batteries hit their 125-mile limit – which you'll get to pretty quickly, as the car can reach 60mph in just over four seconds. 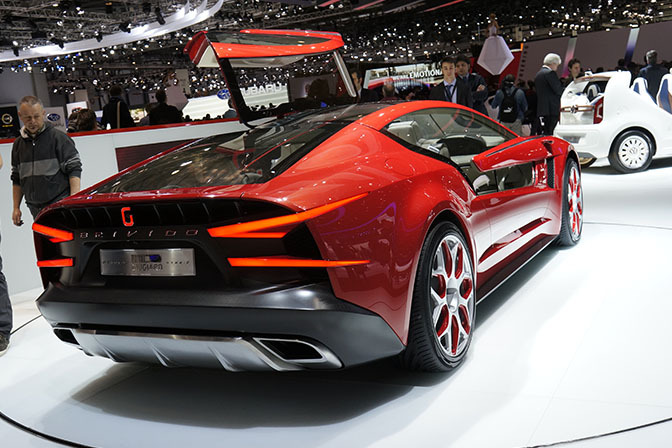 One of the most anticipated concept cars at the Salon was the Italdesign Giugiaro Brivido. Its supercharged 3-litre V6 is supplemented by an electric motor, and to me the body styling has echoes of Italian classics from the '70s. The cut-out sides of the gull-wing doors take a little getting used to though. For a concept it's actually quite practical: a four seater with actually accessible back seats and an interior with plenty of leg-room, as perfectly demonstrated here. 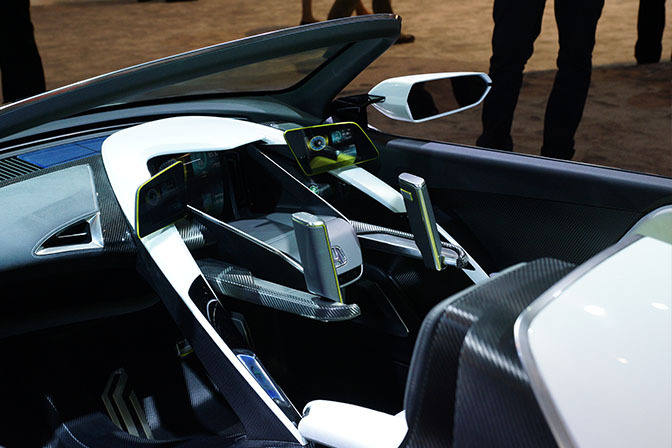 The panels on the side of the wheel are the rear-view mirrors; a secondary console for the passenger includes an iPad dock. Even more exciting was this race-prepped version sitting next door, complete with brutal aero pack and gorgeous Martini stripes: a livery that could make a walrus look fast. With angles reminiscent in parts of a Group 5 Lancia Beta Montecarlo and the rear like an old DTM Calibra, I think I'd expire if this ever made it to a real racing series. Stunning. 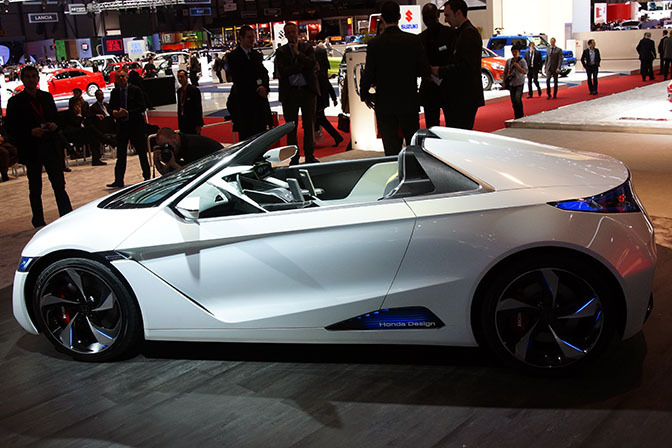 Back on slightly safer ground is the Honda EV-STER concept, featuring a very obvious aesthetic nod to its current road-going Civic cousin. it's one of the few cars here which is quite likely to see a real production line. Lightweight carbon construction and rear-wheel drive are the good points: a sub-100-mile range, not exactly impressive acceleration and a 99mph top speed are the bad. But then you see the cockpit! It's Tron! Fold-out panels on the EV-STER's console can be configured to display additional gauges, GPS, in-car audio and so on. And the rear lights up. All is forgiven. 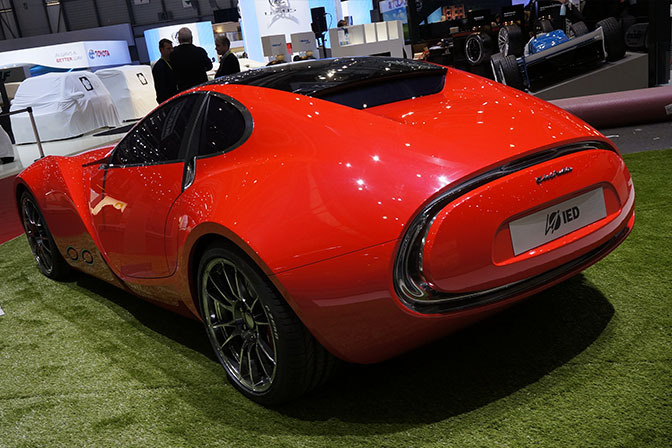 The Cisitilia 202E pays homage to a 1940s Pininfarina design: international students at the IED design school in Turin produced the car under the watchful eye of Maserati and Pininfarina design chiefs. The 202E is very much a full-size model rather than rolling car: but it still has some glorious throw-back curves and beautiful shapes. If only the V8 it would theoretically utilise was installed: the sound would definitely complement the looks. The Lexus LF-LC made its European debut at Geneva: it's another hugely aggressive design from the firm; a worthy evolution of the LFA. 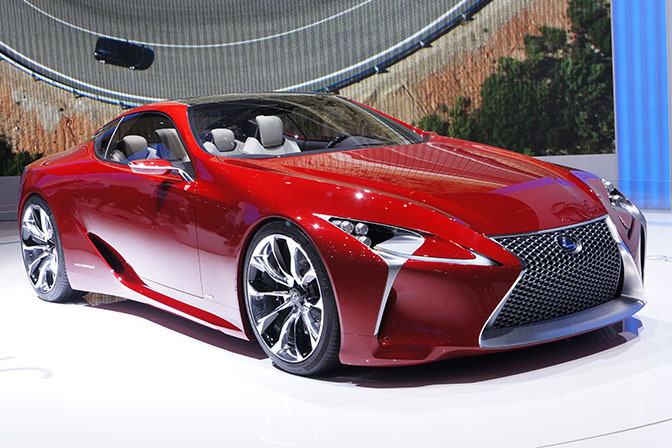 I'll take a closer look at the Lexus Future-Luxury Coupe in a spotlight to follow. 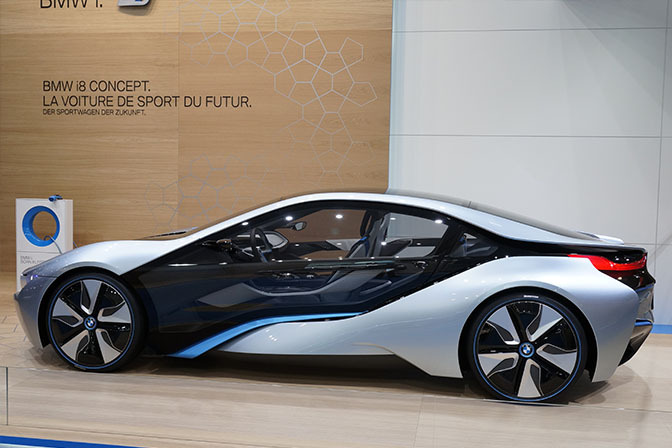 The BMW i8 was originally introduced as a design concept back in 2009, with a production concept unveiled last year at Frankfurt: BMW fully expect to be making a version of this car within two years. A turbo-diesel supplements two short-range electric motors: 60mph comes in less than five seconds and the top speed is limited to 160mph. 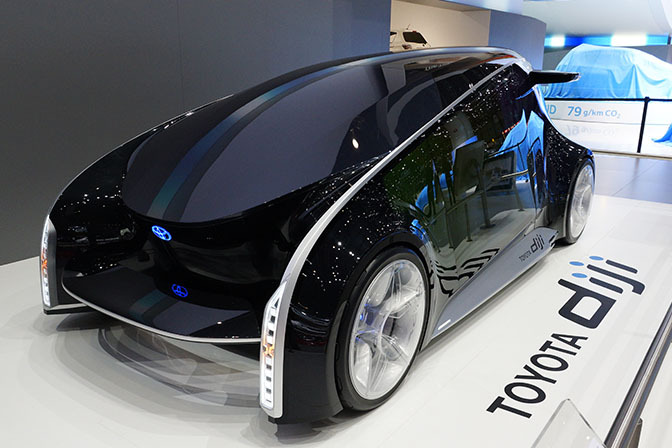 This car will soon be not the future but the present. 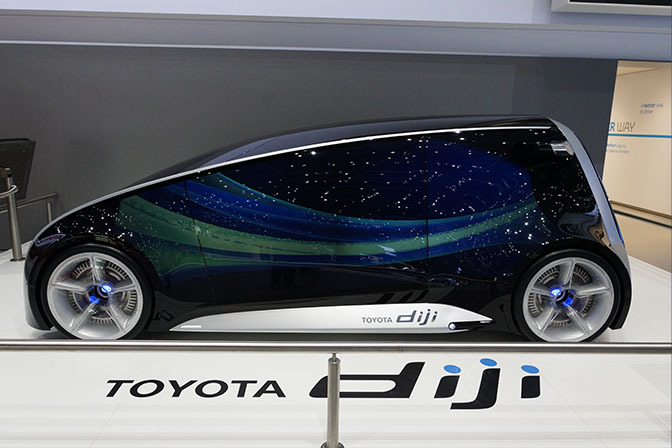 Car as mood: the entire exterior of the Toyota Diji is a programmable display, where the driver can change colour and content at will. There might be no hiding road rage in the Diji! 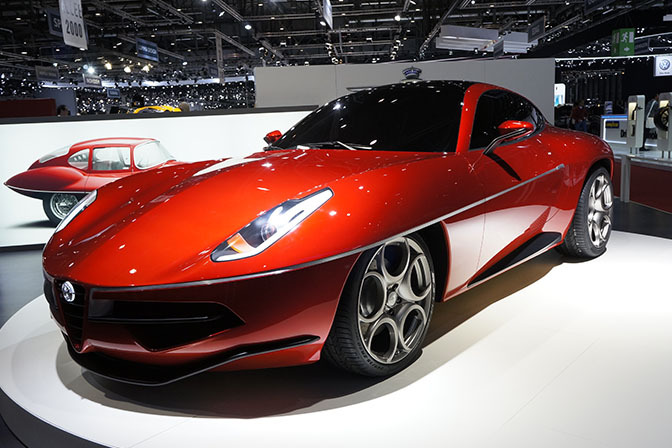 For the final car in this story, I've picked Touring's Disco Volante. 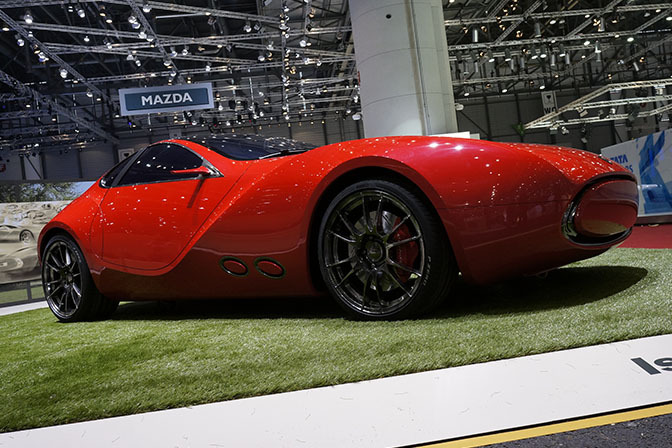 Underneath the handmade bodywork it's an Alfa Romeo 8c – not exactly a bad starting point – and the Disco is heading for a very limited production run of likely a mere 10 cars, with each car having an estimated build-time of… 4,000 hours. 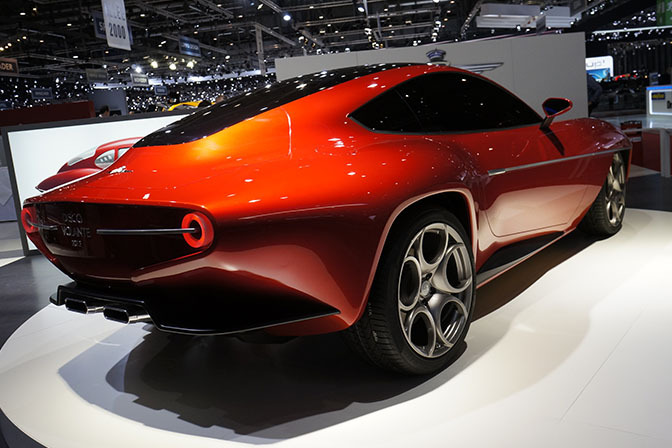 The car celebrates the firm's Disco Volante design for Alfa from the '50s: its partly-covered front wheels, tapering rear window and bullet-point rear lights all pay homage to the original. Bar the carbon fibre though, the car has been produced in the old way: hand-beaten aluminium bodywork. The way it's supposed to be. When I saw the tail shot of the Giugiaro Brivido it instantly threw me back to the Alfa GTV from the 70-80s, another Giugiaro design. The Alfa Romeo is actually pretty cool. Looks really similar to their old models. I like the new flavor! Mind-blowing designs this year. The EV-STER just needs a boosted VTEC between the seats and the rear wheels and it will be done. Or maybe something that runs on "dilithium crystals", hahaha. 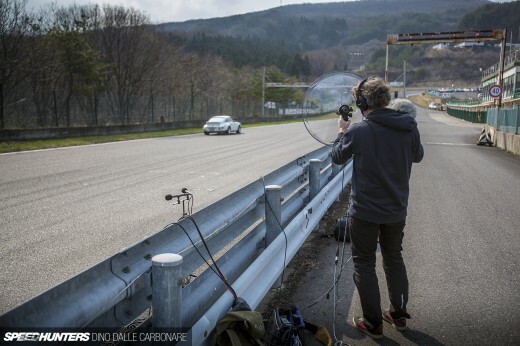 That Toyota Diji is amazing!!!! That Diji is just asking to be made into an itasha! 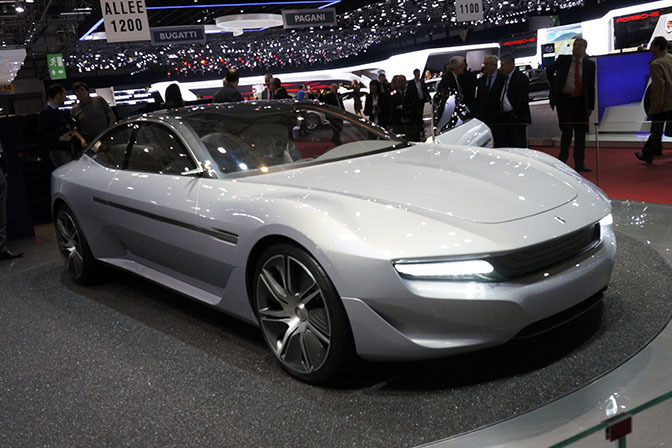 Italdesign Giugiaro Brivido looks awesome. Also like the BMW i8 and Lexus LF-LC. The Infinity concept is really impressive. 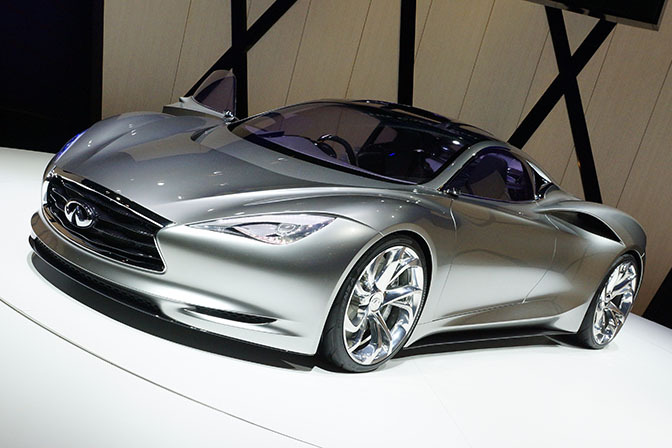 It should be amazing to see this Emerg-E concept in a mass production, with the same performances as the GT-R ! And the winner is...... Mazda Furai. I'ts old but still the best concept and it can run really fast. They're all gorgeous cars! 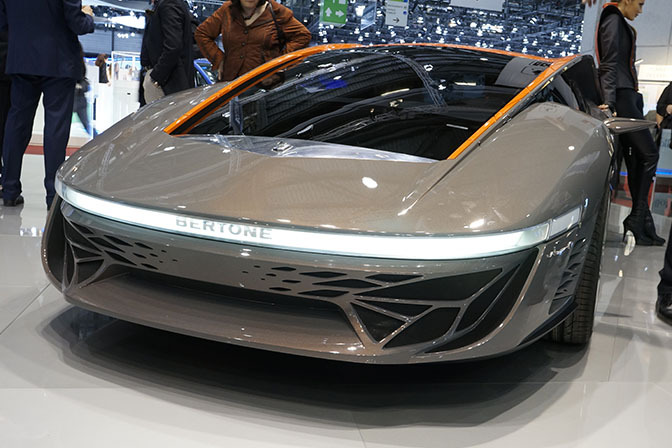 It seems like they're straight out of a Tron movie set, but better, cause they're close to being actual cars. 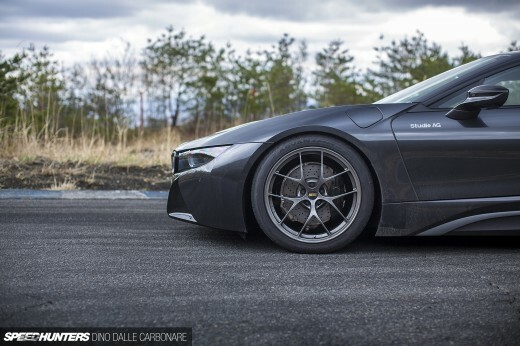 I especially love the BMW i8, that one is just perfect in all angles.